Our Fence Installation is top notch! Click on the link above to discover your perfect fencing options. Looking for an Elite Deck Builder? You found us! Click above to select your deck! 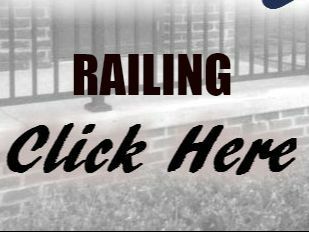 Our railing selections will excite you! Privacy Statement: Your information is used to contact you for a quote from Customized Vinyl Sales. Personal information is not used outside of our company and kept secure within our records. We do not sell or pass on your information. Customized Vinyl Fence & Deck Sales offers a wide variety of fencing and decking products such as vinyl picket, privacy, and semi privacy fence systems, as well as wood privacy and picket, chain link and aluminum pool fence for residential, commercial, and agricultural projects. Also offered is Azek and Veka Deck vinyl decking and standard pressure treated lumber decks. Vinyl pergolas, arbors, mailbox posts, post wraps, picnic tables, benches, and other vinyl accessories are offered in a wide variety of colors and styles. 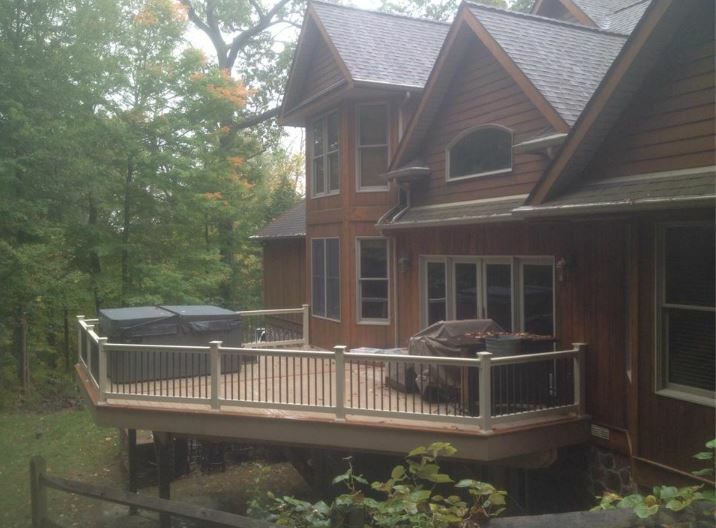 ​Colored vinyl and aluminum railing systems, as well as wood rail is available for porches, decks, and stairways. ​Our vinyl hand rail is offered in six basic styles, additionally, you can mix and match aluminum or glass balusters in between the vinyl rails. 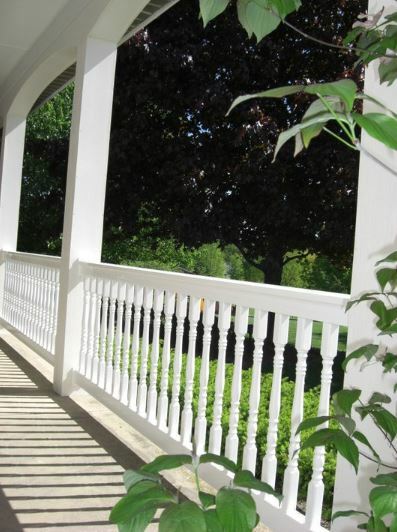 A wide selection of colors and styles are available to porch rail and hand rail, including ADA and handicap accessible railings. Cable rail is also available. 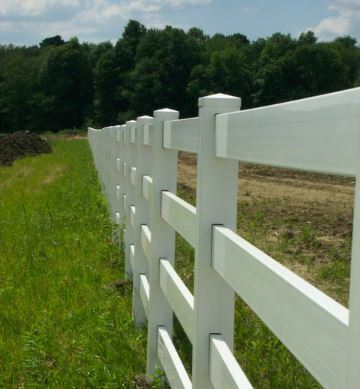 ​Vinyl Horse/Livestock fence is available is 2 rail, 3 rail, 4 rail, and Cross Buck. Wire fence such as high tensile, chain link, coated high tensile, no climb, woven wire, and wood board fence are also available for livestock. Pipe gates, vinyl gates and custom gates are available in a variety of sizes and styles. Vinyl Privacy fence is available in six colors, white, khaki, almond, and wood-tone vinyl redwood, weathered cedar, and natural cedar. Style options range from solid tongue and groove, vinyl privacy with lattice, vinyl privacy with picket, and vinyl privacy with sunbursts. Our vinyl picket fence comes in seven different styles, vinyl courtyard picket, wide vinyl picket, narrow vinyl picket, scalloped and arched vinyl picket are just a few. Up to six Vinyl picket colors are available on certain styles. 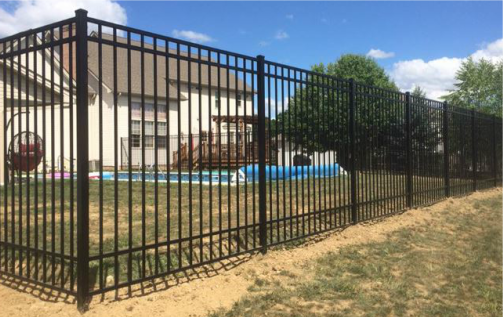 Our vinyl pool fence and semi privacy fence systems offer styles to meet everyone's taste. All vinyl and aluminum pool fences are BOCA approved, and meet most building codes and zoning laws. More cost effective fence systems such as chain link and wood are also available through Customized Vinyl. Coated chain link and standard galvanized chain link are available in heights ranging from 3'H up to 12'H. Coated color options are green, black, and brown chain link. Commercial applications such as dog kennels, ball fields, and industrial parks are just a few common applications for chain link fence. Wood shadowbox fence, wood privacy fence, and custom wood fence systems are available to meet your specifications on your upcoming fence project. Be sure to call or email us to come out for a free estimate! ​Vinyl or wood decks can be installed as a new construction or a "re-cover". Vinyl deck planks are used to replace old, dilapidated wood planks. Recovering an existing deck with vinyl deck planks is a more cost effective facelift for your home. Vinyl Deck planks like Azek or Veka Deck can be installed on concrete porches or patios as well. With over thirteen colors to choose from, you're bound to find the right color to enhance the look of your home! Vinyl tongue and groove decking is also offered to keep the country look of a home without the maintenance. ​Customized Vinyl serves the greater Cleveland, Youngstown, and Pittsburgh areas, but we also ship materials nation-wide. Be sure to visit our showroom located @ 46242 State Route 14, Columbiana, OH 44408 . ​All vinyl fence, deck, and rail products carry a limited lifetime warranty guaranteed not to chip, peel, crack, warp, or discolor. "Everyone in this company was great to work with, Lauren, who gave me the estimate and re-worked the plans, the girls in the office, who got all my later questions answered and kept me appraised of the start date, and the two men who did a great job building the deck. They started on time, even early one day when they were calling for rain, and the deck looks great. Very pleased." "This company provides excellent value, quality, and service for the money. Our sales rep was friendly, helpful, direct, and responsive. Our construction crew was great. They arrived on time, were courteous, worked very hard, and did a quality job. I'm very impressed with their work and would definitely hire them again. " Excellent company, customer comes first! Very professional, left area neat and clean, performed work as scheduled. Recommend highly! Customized Vinyl Sales installed my fence, 50% Wood and 50% Aluminum Pickett, in the most professional manner I could ask for. Also, the installation crew (Jeremy, Matt and one other pro), made sure that I was informed before the job began, and asked for my input during the job. We had a zoning issue come-up and Lauren (co-owner with husband Joe), made a special trip to the job site to meet with the inspector to work-out a viable alternative. 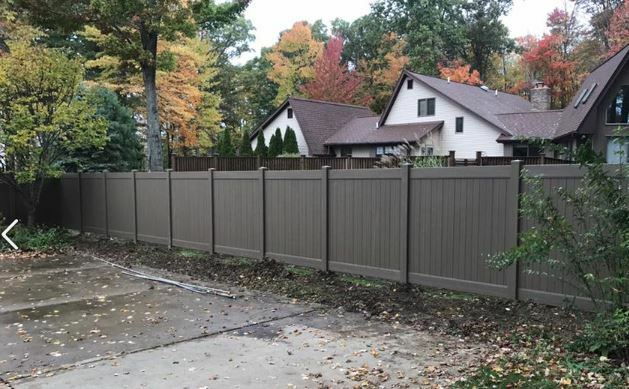 The fence looks great and the job-site was cleaned-up after completion. Absolutely NO COMPLAINTS. We needed a gate installed asap. They went out of their way to provide quick service. Everyone was courteous and professional. We were please and impressed. Other quotes for the exact same fence were much more and twice the wait. Lauren was terrific at getting the installation done when we needed it, and was really nice to work with - not offhand and dismissive like the other fencing contractors I talked to. They will be the only company I call if I need a fence of any type in the future.